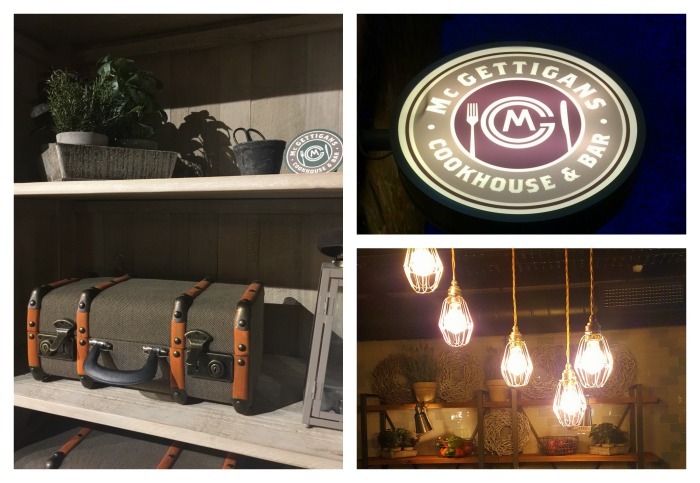 Based at the Kingswood Hotel in City West, a third McGettigans Cookhouse & Bar has just opened and, having missed the launch, we were chuffed to be invited for a meal. Himself was a little too enthusiastic; it transpired he thought we were headed to their Dublin 1 venue, which is practically on our doorstep - but not to worry, it was well worth the 20 minute spin out the N7. 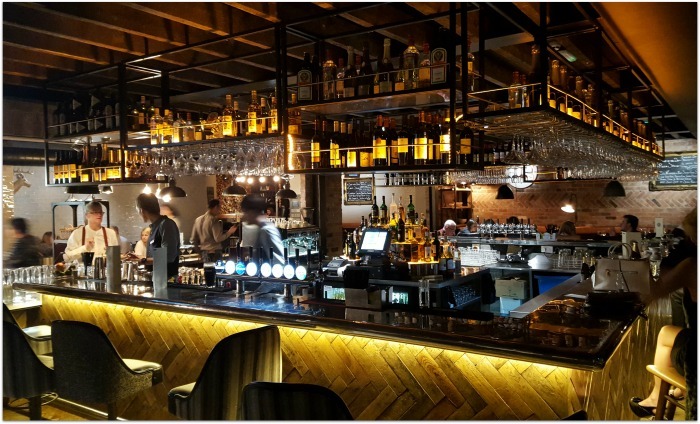 Firstly, the restaurant is gorgeous: apparently designed by the owner’s wife, it’s a warm and inviting space - not always easy to achieve in a place this size (it seats 150). It has a cool New York vibe: think exposed (red) brickwork, industrial lighting, leather booths and lots of plants. I liked it lots. Loads of attention has been lavished on the details, and that’s something we picked up on throughout the entire experience. We split the chicken wings to start: he hadn’t intended sharing, but sure life doesn’t always work out the way you want. Dripping in deliciously spicy sauce, they came served with a tasty lemon aioli and a little dish of soy pickled cucumber, which I happily polished off. Portions are generous and they don’t skimp on the sauce: we liked everything about this dish, and himself pronounced them the tastiest wings in Dublin. 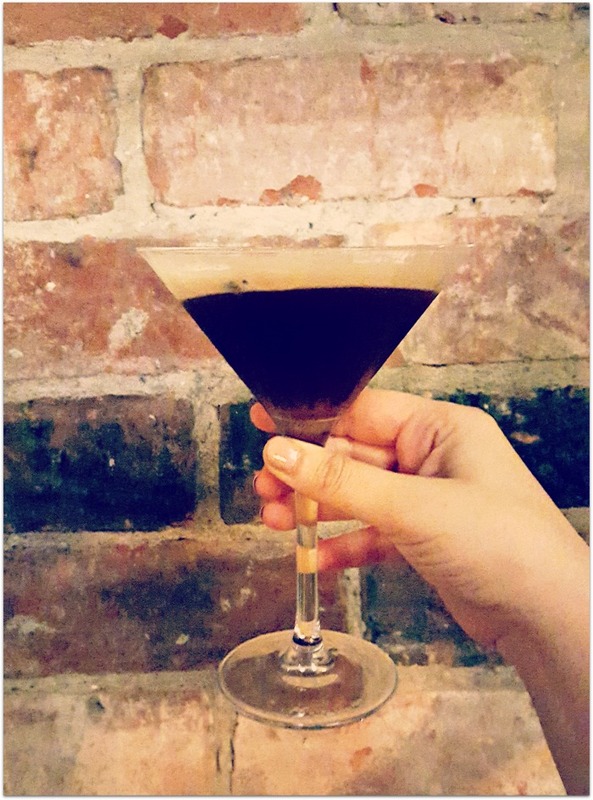 (We also rate the Harbourmaster in the IFSC and the Ivy House in Drumcondra, just fyi). 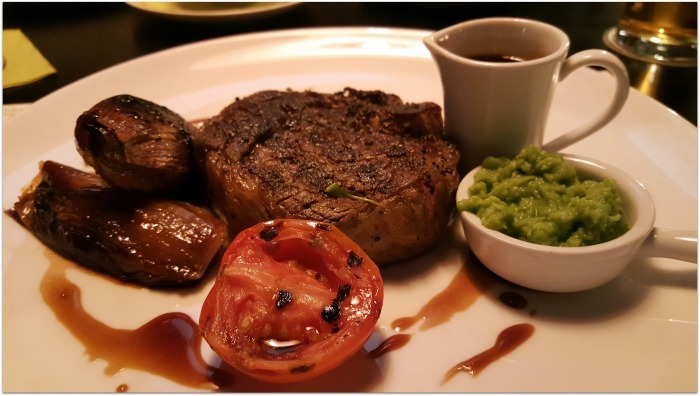 There’s loads of choice on the menu, from salads to gourmet burgers, but we both went for the steak: fillet for the lady, and rib-eye for himself. His came with garlic truffle butter, roasted red onion and slow roast tomato; mine with celeriac mash, roasted shallot and pea puree; we’re awkward, so we swapped accompaniments, and split a side of onion rings and colcannon for good measure. Both steaks were flavoursome, served as ordered (rare), and washed down with a moreish bottle of red, that was served at the perfect temperature. See? Details. They’ve got ‘em nailed. 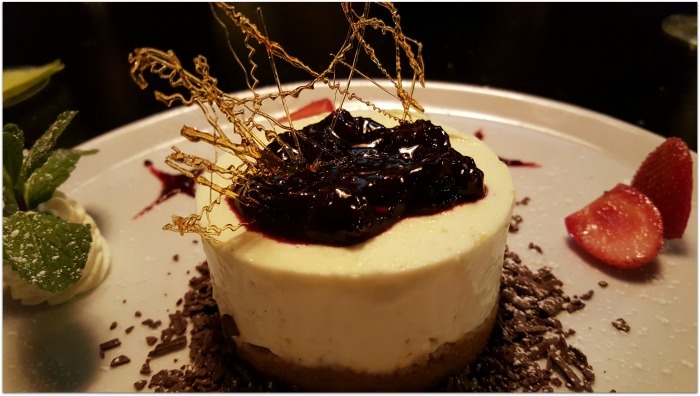 Cheesecake (for him), and an espresso martini (for me), rounded things off nicely. 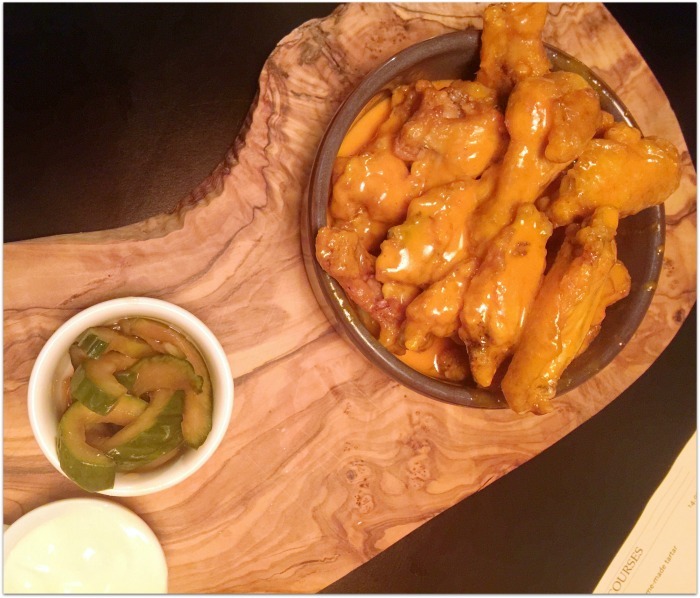 Starters range from €6 – €8 while mains are between €12.95 – €29; there are also some casual sharing options on the menu, like the antipasti board for €10/€15, or the aforementioned wings, which we would HIGHLY recommend! You can check out the menu here.